This three part article covers the history of Japan from its earliest days to now, told through photos and links to historically relevant articles. This third article deals with everything from the Edo era to modern-day Japan. In this special three part article, I have outlined the major epochs of Japanese history, starting from its earliest historically accepted dates and leading right up to the modern day. The first article covered everything from the Paleolithic to the end of the Nara era, and the second article covered the span from the Heian to the Sengoku era, and this, the final article will cover modern Japan, from the Edo era onwards. If you’d like to learn more about Japanese history, you should really pay a visit to the Japan gallery at the National Museum of Nature and Science, or check out any of the amazing museums and galleries found in this article. The Edo period lasted from 1603 to 1868, wherein Japan was ruled largely by the Tokugawa Shogunate and regional daimyo. This era had a distinct social hierarchy, with the warrior class and the nobility at the top, followed by the peasant class, the craftsmen or working class and the merchants. While officially Japan had a closed country policy, barring the entry of "foreigners", places like Dejima in Nagasaki prefecture allowed some trade with the West, which provided Japan with then-new technology, the sciences, and other fields of education and technology that would later spread and be taught in various schools of the time. Thanks to the relative peace of this era, the arts and culture as a whole underwent a second renaissance in Edo era Japan, and gradually became accessible even to the common classes. 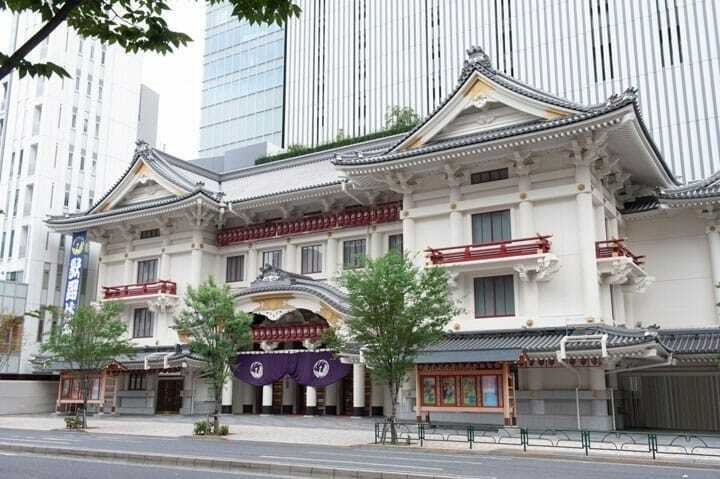 For example, entertainment such as kabuki theater, ukiyo-e prints, and even rakugo comedy were suddenly open to the general public, and a great number of schools dedicated to the various arts flourished. Not only that, but perhaps some of Japan's best loved modern dishes, including sushi, tempura, soba (buckwheat noodles), and udon (wheat flour noodles) hit the scene as the fast food of their time, and have stayed popular dishes for busy people for well over 200 years! To learn more about life in the Edo period, take a look at Fukagawa Edo Museum: A Must-Visit Place For Edo Fans! The Meiji period occurred during the later years of the Tokugawa Shogunate, from 1868-1912, and to many scholars, is considered to have been the result of Commodore Matthew Perry of the US Navy and his armada of black ships firing on, and forcing Edo Bay (Tokyo Bay) to open to the rest of the world. This was a time of great upheaval in Japan, it saw the change from a feudal society to a modern one, with a sudden rush of globalization, industrialization, and modernization in not only its trade, but also political and social forms. The Meiji era marked Japan's Industrial Revolution, wherein it quickly took advantage of the influx of Western knowledge to develop railroads, factories, and schools across the country where Western learning, taught by Westerners, was the basis of the education system. It also saw a wave of Japanese youth being sent abroad to study and bring this knowledge back to Japan, further modernizing and globalizing the nation. Meiji Jingu Shrine in Tokyo is one of the symbols of the Meiji era. Another great place to learn more about this historical period is the Museum of the Meiji Restoration in Kagoshima. The Taisho period (1912-1926), was the first era after the opening and industrialization of Japan, and saw further changes in the political landscape of Japan. Emperor Taisho was relegated to the role of a figurehead while the Imperial Diet ruled Japan and democracy was declared. Unfortunately, while Japan fought on the side of the Allies in World War One, this gave the country its first take of modern colonialism in Asia and the Pacific, which would soon lead to conflict in the coming years. The blending of Western and Japanese styles on every level of society took off at this time. The Taisho era also saw significant progress regarding in the standing of women in Japanese society, with women suddenly moving into the position of making household decisions and having purchasing power unheard of until this time - which can be seen through advertisements and the rapid change from a kimono to Western-style based fashion industry. Often referred to in nostalgic terms these days, the Showa period (1926-1989) was the longest continuous reign of any Emperor, and one that saw its share of dramatic political, social, and technological changes. The Depression, the Second World War, Japan's further invasion of China, the conflict in the Pacific, the dropping of two atomic bombs by the US, the defeat of Japan and occupation by the US - these and other conflicts marked the start of the Showa era, while the years following were marked by Japan's economic miracle, a burst of regrowth and prosperity shown to the world via the 1964 Tokyo Olympics, the 1970 World Expo (now Expo '70 Commemorative Park), and much more. You can find traces of Showa era practically every where you look in Japan, whether out for a stroll, visiting a park, or even picking up a packet of your favorite cup ramen. The current era in Japan, the Heisei period began in 1989, and encompassed several stages of economic growth and loss in Japan, such as the oft-mentioned Bubble Era (and its rapid deflation), plus the global financial crises in the 2000s, numerous advances in technology, especially with regards to robotics, and many earthquakes, including the 1995 Great Hanshin Earthquake, the 2011 Tohoku Earthquakes and subsequent Fukushima Nuclear Disaster, and the 2016 Kumamoto Earthquakes. With the Emperor about to abdicate, the Heisei era is now drawing to a close and discussions are underway for what the next era of Japan will be called. The 2019 Rugby World Cup, the 2020 Olympics - what else will this next era of Japanese history hold? Delicious And Satisfying: 7 Must Try Comfort Foods In Japan! Nagasaki Guide: Places To Visit, Festivals, Dining and More!